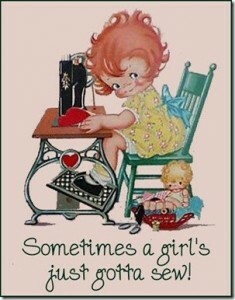 My quilting group have issued a challenge for November, decorate a bra, the theme must be a word in which the letters bra appear; candelabra, brassica, or in my case remembrance. I had seen a number of fabric flower tutorials on Pinterest which I wanted to try, particularly the poppies. Last year I bought a fabric poppy to wear on Remembrance Day in place of the paper ones sold by the British Legion, which I find so difficult to keep looking fresh. 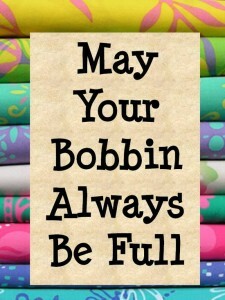 Mine always seem to curl up or just disintegrate. The poppies were so easy to make that I made several, three to decorate my bra for the challenge and another 3 which I gave to my mother, sister and niece. I asked that they make a contribution to the British Legion as usual, as I will too. I will probably make another for myself, but I have run out of suitable buttons. 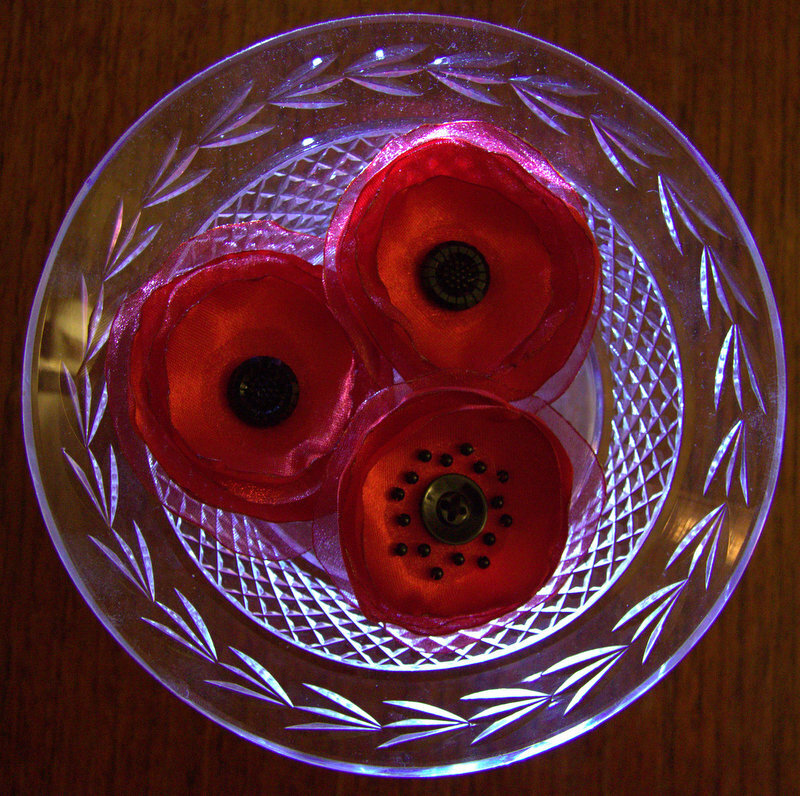 To make these poppies I bought polyester satin and polyester crystal Organza in Coquelicot (poppy red), some black buttons which were designed to look like a flower centre, black glass beads, and brooch fasteners. The satin and organza was cut into squares 3” and then slightly smaller 2.5” perhaps. 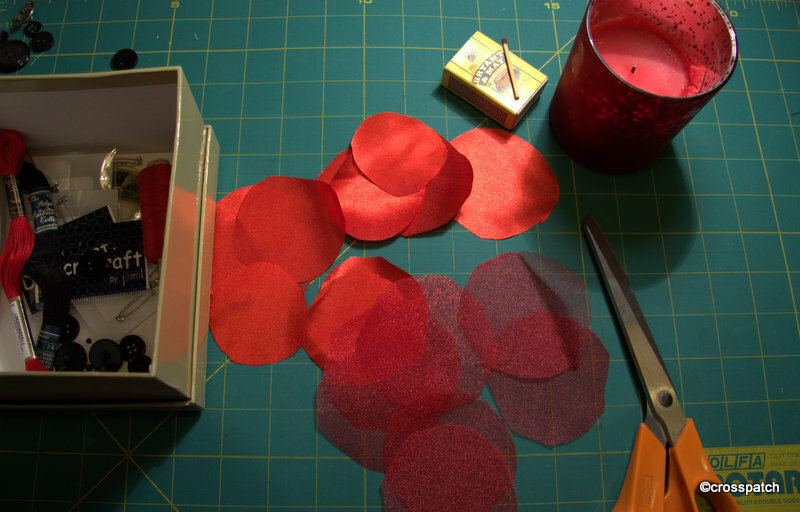 These squares were roughly cut into circles; I didn’t need to be desperately precious about this because I then applied the raw edges to a candle flame. I found if I held the edge close to but not in the flame, perhaps a eighth or two from the visible flame, and turned the fabric quickly to prevent it catching fire, what happened was that the edge melted and curled up gently producing a shallow cup with a sealed edge. The fabric cups were then nested one inside the other slightly unevenly so that each fabric was visible at some point. 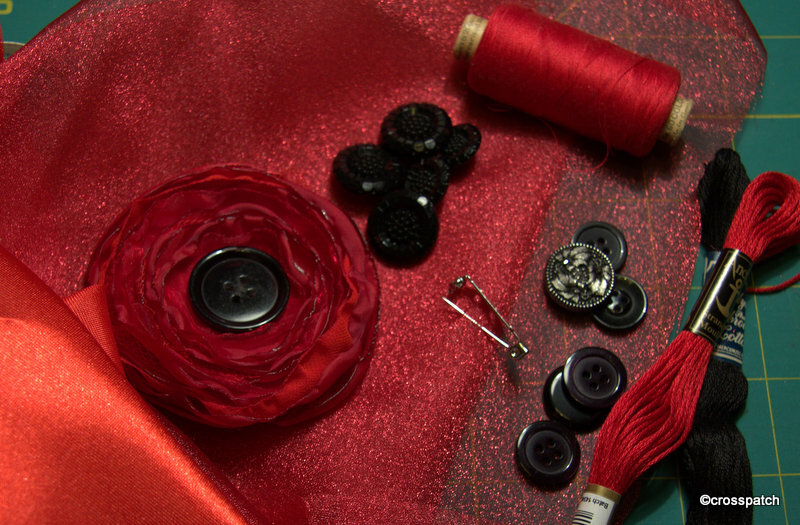 A circle of organza, not heat treated, was placed in the centre and the button applied to tie all the layers together. 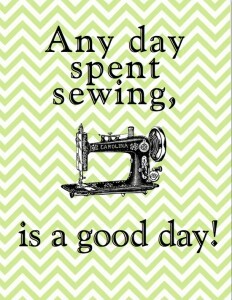 I ran a few stitches round the centre so that they would hold the layers together while I fixed the button in place, and with the shank back buttons I cut through the layers to set the button in rather than have it flop about on its shank. The three on my bra are sewn on like buttons, the others have a brooch fastener attached to the back. The last one I made, having run out of the buttons specifically bought to represent flower centres I used a plain flat 4 hole button and I embellished with extra beads to add stamens ( and to draw attention away from the plain button). Mum got that one. My sister and niece got the simple ones without beads. The ones on the bra have a larger button and fewer beads, those are the ones I made first….. I’m not sure which I like best. 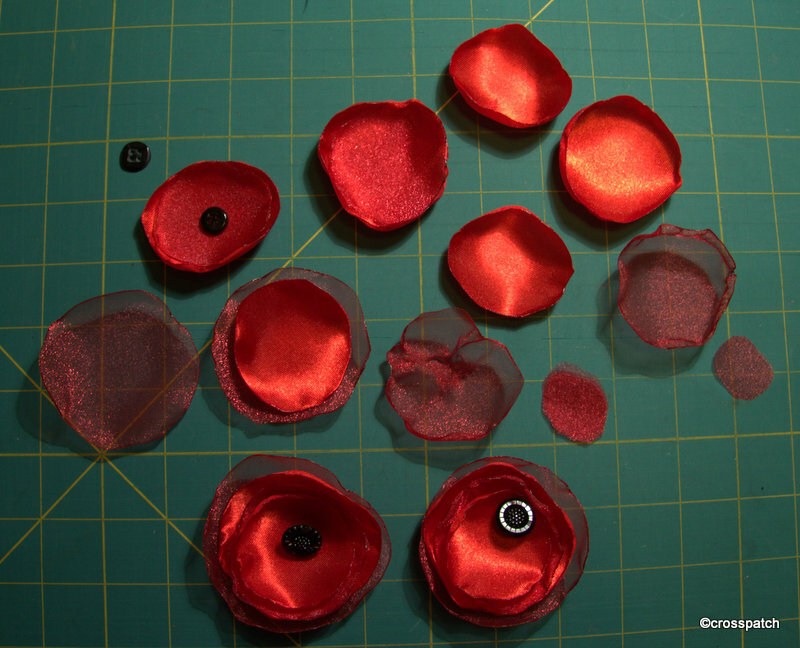 I also have an idea to make poppies from felt and buttons… watch this space.